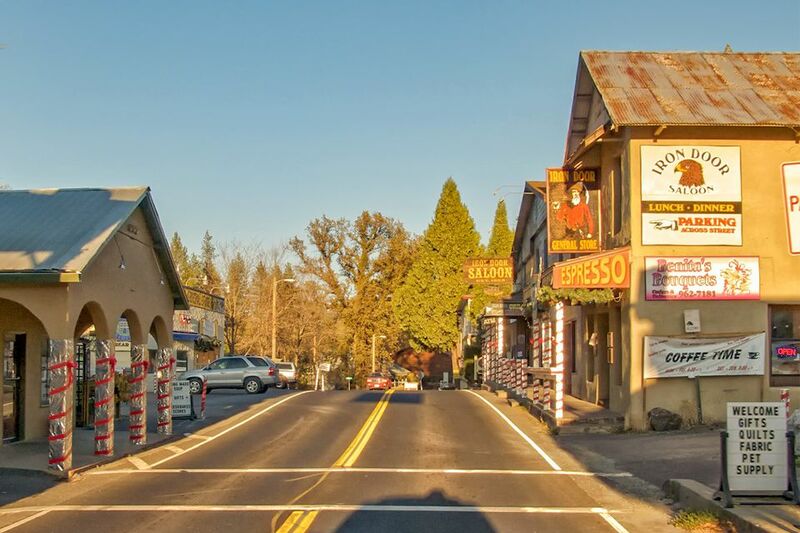 Groveland is a small but charming town with an interesting history, located an hour's drive from Yosemite Valley on Highway 120. Local businesses like to say it's closer, but they're talking about the distance to the entrance gate, not the valley. Private pilots can fly into the Pine Mountain Lake Airport here. Evergreen Lodge at Yosemite: A historic lodge with fully-furnished cabins, a restaurant and a classic tavern, Evergreen Lodge also offers very affordable, fully-set-up tents, too. Rush Creek Lodge: The newest Yosemite area hotel is owned and operated by the great team from Evergreen Lodge. Groveland Hotel: With only 18 rooms and a host of amenities, the Groveland Hotel has a great dining room, is pet-friendly - and even has its own resident (friendly) ghost. Sunset Inn: Three comfy cabins. Check guest reviews at Tripadvisor. Yosemite Westgate Lodge: They're located 12 miles from the Big Oak Flat entrance to Yosemite, with a pool and 45 rooms. Blackberry Inn at Yosemite: Three rooms, 12 miles from the Yosemite entrance. Read guest reviews of it at Tripadvisor. Hotel Charlotte: This 10-room bed & breakfast hotel on the National Register of Historic Places offers free high-speed internet access. Yosemite Rose Bed and Breakfast: Seven rooms in a Victorian-style home, and a one-bedroom cottage. Read reviews of it at Tripadvisor. One of our favorite places to stay in Groveland is Pine Mountain Lake, one of the Yosemite area's best-kept secrets. At Pine Mountain, you can rent a condo or house, have access to all the resort's amenities and cook your own meals if you want to. Stanislaus National Forest: Lumsden, The Pines, Lost Claim and Pretty Sweetwater campgrounds offer pleasant surroundings, but minimal amenities with vault toilets - and you may have to bring your own water. Some of them also get quite hot in summer. Once you reach their website, choose "Recreation" to get to the camping info. Yosemite Lakes: RV parking, regular tent sites, bunkhouse cabins and yurt-style tents with plenty of amenities - and they're one of the only camping places around Yosemite that doesn't allow campfires (great if you have allergies). Yosemite Ridge Resort: Camping cabins, family cabins, RV sites and one-bedroom cottages. Rates are reasonable and cottages fall in the $$ range.